What's in the news for Stahancyk, Kent & Hook. It’s a great SKH Weekend to see dance, drink cider, watch the best and the brightest play some hoops and hop on over to Brentwood Park to watch easter eggs drop from the sky. 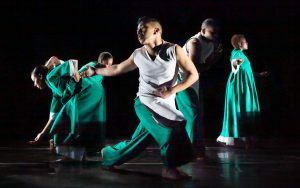 Ronald K. Brown/Evidence combines contemporary choreography with with traditional African dance, movement, and rhythms at Newmark Theatre. With their diverse backgrounds, Brown and his brilliant dancers use dance and storytelling to promote understanding of the human experience. Brown is an advocate for the growth of the African American dance community, and uses movement as a way to reinforce the importance of community in African American culture and to acquaint audiences with the beauty of traditional African forms and rhythms. Presented by White Bird Dance. Taste over 36 hopped ciders from around the country at Nat’s Hard Cider. That would include 12 of Rev Nat’s unique hopped ciders and 24 taps from local cider makers. $25 gets a glass and 7 tokens, plus you can get free pours of far-flung hopped ciders throughout the day. 21+. The Nike Hoop Summit pits America’s top high school seniors against the best basketball players from around the world who are 19 years old or younger. The past seven #1 overall NBA Draft picks have played in the Nike Hoop Summit. The 20th annual Nike Hoop Summit will see the USA Junior National Select Team take on the World Select Team in a one-game battle Friday at 7 pmat the Moda Center. 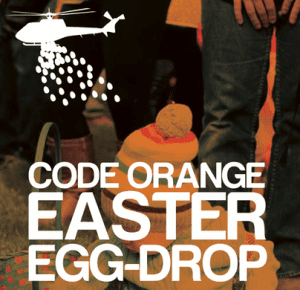 On Saturday, thousands of orange eggs will fall from the sky once again at Brentwood Park at the 6th annual Code Orange Easter Egg Drop. As in years past, a helicopter will drop eggs onto the fields and children will have the opportunity to hunt 20,000 plastic Easter eggs at the park that day. There will be egg hunts from age 1 to 11, plus carnival games, bouncy houses, face painting, and the Easter Bunny. Free. 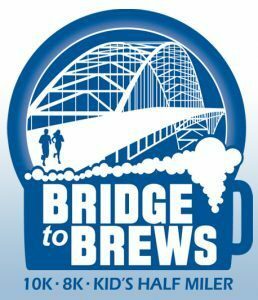 Run or walk the Bridge to Brews 8K/10K over the Fremont Bridge and to a post-race party at Waterfront Park with beer tasting and live music. Participants who return from this incredible run or walk (the only one that takes you over the Fremont Bridge) will be treated to tasty libations from many great local breweries, distilleries and wineries. Each participant receives a commemorative cup and 10 free tasting tickets! ^here is also plenty of tasty food and live music at the finish. A devilishly good way to enjoy your leftover Easter eggs! Instead of throwing your pineapple scraps in the trash... throw them in a pot and make tepache! Early in my practice, a man came for a divorce because his wife did not meet his needs. I for once kept my mouth shut and gasped, “why?”. He said life is like a football game. My wife is very supportive when I’m doing well, but if I hit a rough patch in my career she becomes doubtful... That is the time I need a cheerleader, not to say I’m going to score, but that the game is not over, she’s with me and that she knows I am trying! As I listened, I realized that with mutual cheerleading, marriage is the wind under our sails! We're tickled we get to talk about radishes that are pickled!